Are more antibiotic-resistant bacteria getting into the ocean? The time had come to examine the dishes creating that noxious smell throughout the kitchen. It wasn’t coming from unwashed dishes in the sink; it came from the top of the refrigerator. That’s where I had put petri dishes growing bacteria for my seventh-grade science fair experiment. I wanted to investigate if soap, antibacterial lotion, or hand sanitizer was most effective in reducing bacteria. 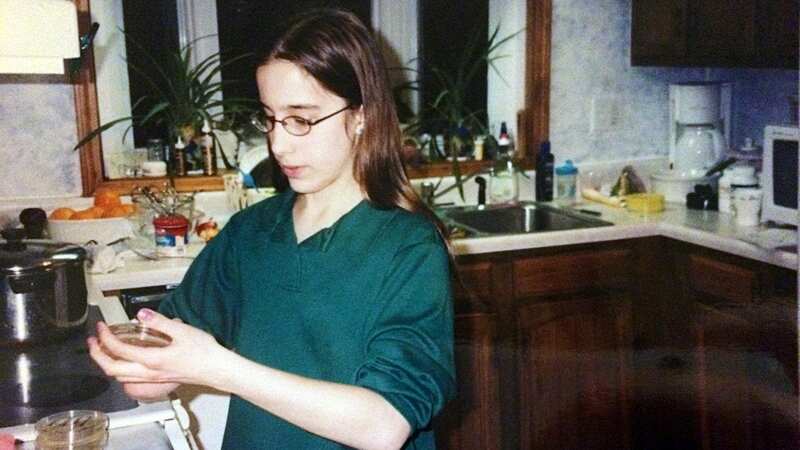 Luckily for me, my parents and sisters were willing to let me experiment in our kitchen. 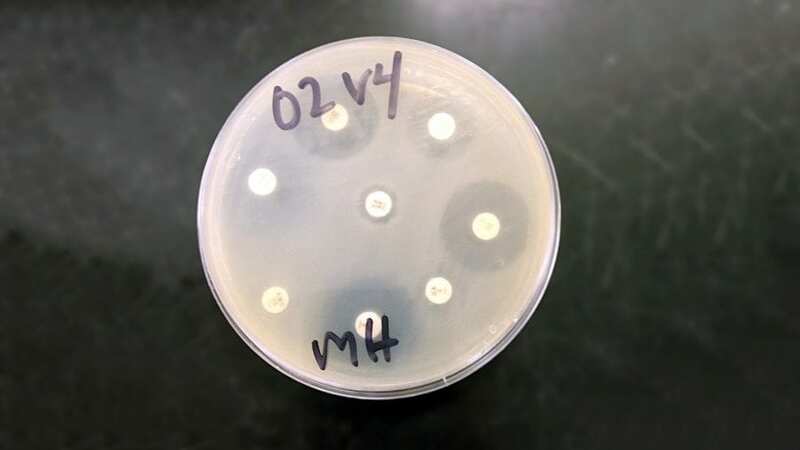 Now as a Ph.D. student, I am still growing bacteria—with some small changes. 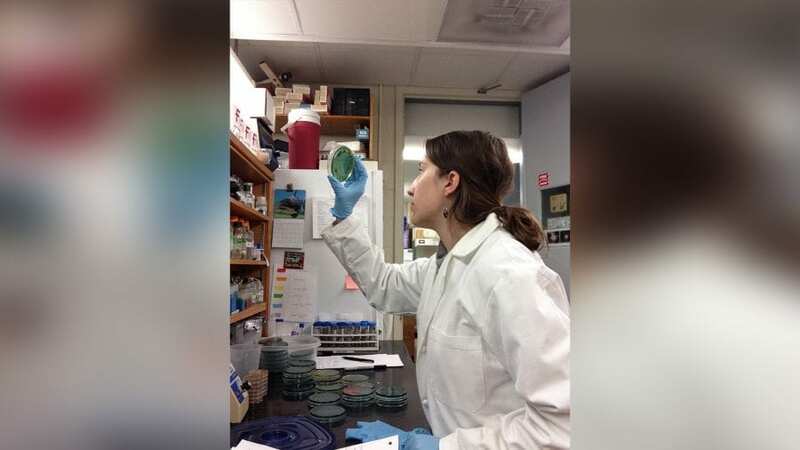 Instead of examining bacteria on my own hands, I study bacteria that live on Cape Cod beaches, and I study them in a laboratory instead of my family’s kitchen. But some things remain the same. I think bacteria—the microscopic organisms all around us—are incredible. Bacteria produce the oxygen that we breathe. They help digest food in our guts. They are the tiny agents that invisibly move nutrients throughout ecosystems everywhere on Earth. I always remember that bacteria can live without humans (and do! ), but humans cannot survive without bacteria. Of course, bacteria do have a flip side. Some are harmful, causing infections that were often deadly—right up until the 1940s when people discovered and began to use antibiotics. They allowed us to survive bacterial infections and enabled more complex surgeries and medical procedures. It is not an overstatement that antibiotics have changed the world. But antibiotics also have a flip side, when their use is widespread. The more we use them, the more we kill off susceptible bacteria, leaving bacteria that are resistant to antibiotics. These resistant bacteria grow and multiply in clinical settings and in the environment. That makes antibiotics ineffective and people more vulnerable to infections. Antibiotic-resistant bacteria are a growing threat to human health. Every year, more than two million people in the United States get infections that resist treatment by antibiotics, and at least 23,000 people die as a result, according to the U.S. Centers for Disease Control and Prevention. Antibiotic-resistant infections raise direct healthcare costs by at least $20 billion per year and cost up to $35 billion a year in lost productivity because of hospitalizations and sick days. Since 2013, I have been studying antibiotic-resistant bacteria in the sand and the ocean on Cape Cod. How is this phenomenon of antibiotic resistance occurring within the large microbial ecosystem of the ocean? Could it have impacts on human health? At first glance, it may seem like antibiotic use should not affect the ocean. But the reality is that antibiotics taken by humans, along with bacteria that are resistant to antibiotics, are excreted in our waste. They go to wastewater treatment plants where they are eventually released into streams, rivers, or the ocean. We use large amounts of antibiotics, not only when we get sick, but also for farm animals. In fact, about 70 percent of all antibiotics are used to promote growth and control infections in animals. Manure from pigs or chickens—and the antibiotics and bacteria in them—make their way into waste streams. Manure applied to agricultural fields also contains antibiotics that can leach into the water system after rainstorms. 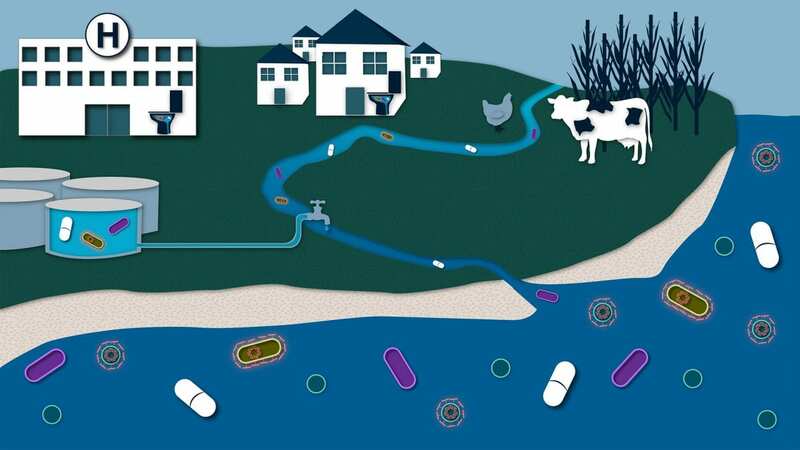 Antibiotic-containing wastes and food used in aquaculture directly get into the ocean. Antibiotics are natural chemicals produced by bacteria. There is some evidence that bacteria use them to communicate with their neighbors. But they also kill off other competing bacteria and help them retain control of their neighborhood. The influx of more antibiotics and antibiotic-resistant bacteria into the ocean creates sort of a soup where natural and newly introduced bacteria can interact. 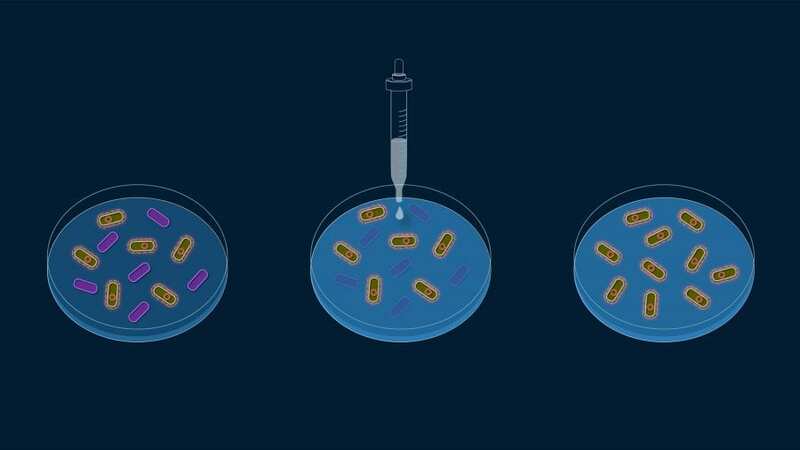 That increases the potential for antibiotic-resistant bacteria to exchange genetic material with other bacteria and spread antibiotic resistance in the ocean. That is a big concern if we want to live in a world where ear infections are not life-threatening and having surgery remains an option. Antibiotic resistance in the ocean and at beaches also poses health risks. Imagine that you go swimming and you swallow water contaminated with resistant bacteria. Or sand harboring contaminated bacteria gets into a small cut on your skin. Or you might eat raw shellfish containing resistant bacteria that could wreak havoc with microbes that live in your gut. All these scenarios provide avenues for bacterial interactions and increase the risk of getting antibiotic-resistant infections. I’m interested in understanding the factors—both naturally occurring and caused by human activities—that lead to antibiotic-resistant bacteria on beaches—so that we can begin to assess the risks for humans. To begin my research, I collected water and sand samples at six local beaches around Falmouth on Cape Cod in different seasons over a year. The beaches spanned a variety of locations that are used by people in different ways and to different extents and that have different water conditions offshore. Back in the laboratory, I carefully place the samples on different petri dishes—much like those ones from my science fair project—to promote the growth of the bacteria that were in the sand. Then I carefully pick individual colonies of different types of bacteria and preserve them in the freezer. I take petri dishes full of bacteria, and one by one, I put in small discs embedded with a known antibiotic concentration on the “lawn” of bacteria. The next day, I look at the dishes. If there’s a ring of no bacteria around the discs, the antibiotics are effective against them. If the dishes remain full of bacteria, it means the bacteria are antibiotic-resistant. The process is straightforward, but it takes an immense amount of time to test hundreds of individual bacteria. In our freezer, I have some 2,500 little tubes of frozen bacteria—waiting for their moment in the laboratory limelight. I have spent hundreds of hours collecting, picking, organizing, and testing these samples. I have tested a range of bacteria, while focusing some attention on one group of bacteria called Vibrio—because it is prevalent in the ocean and because some of these bacteria can cause gastrointestinal illnesses or diseases such as cholera in people (though there’s no cholera in Cape Cod waters). My tests have shown that 73 percent of the Vibrio bacteria I collected and 95 percent of all the other types of bacteria were resistant to at least one antibiotic we tested. 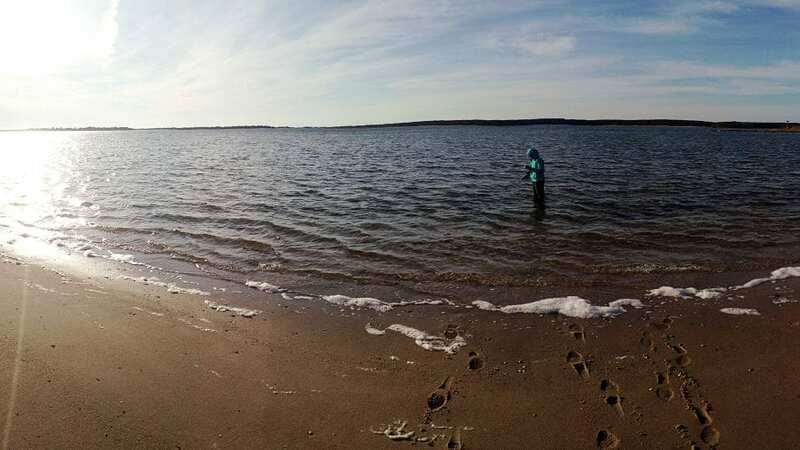 It didn’t matter which beach the bacteria came from or the season, indicating that antibiotic-resistant bacteria are prevalent throughout Cape Cod waters. This indicates the potential for people to be exposed to these bacteria. But we’ll need more research to better understand the health risks, if any, for people. So I am doing my part, painstakingly testing other types of bacteria to see if antibiotic resistance is unique to Vibrio or if other bacterial groups have similar or different levels of resistance. The unknowns and potential impacts of my research are greater than they were in seventh grade. Instead of my family’s kitchen, I do my research in a lab now. But it’s full of plates and plates of stinky bacteria—that part hasn’t changed. This research was funded by a National Science Foundation Graduate Research Fellowship, the MIT Martin Family Society of Fellows for Sustainability, the WHOI Ocean Ventures Fund, the WHOI Coastal Ocean Institute, Richard and Susan Hill, the Grassle Family Foundation, and the J. Seward Johnson Fund. Antibiotics generally kill bacteria, but some bacteria are resistant to antibiotics. Bacteria can also share their genetic material in ways that humans cannot. 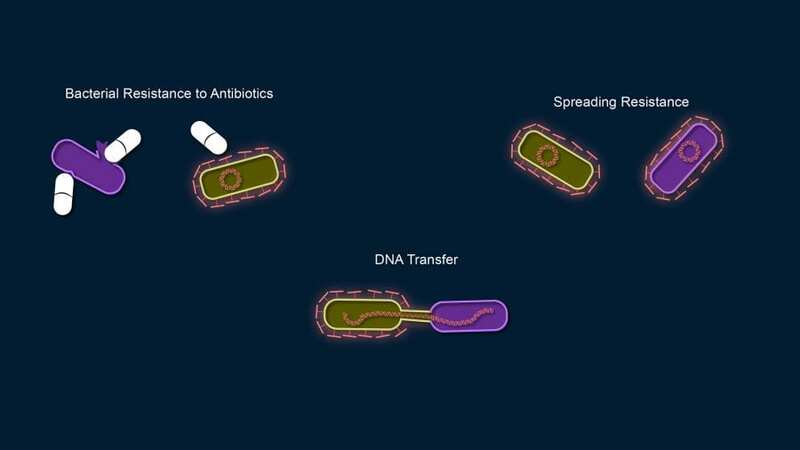 Bacteria that are resistant to antibiotics can transfer DNA that encodes antibiotic resistance to other bacteria, making them resistant to antibiotics too. The widespread use of antibiotics creates much more opportunity for antibiotic-resistant bacteria to develop—because killing off all the susceptible bacteria leaves only the resistant bacteria to grow and multiply.